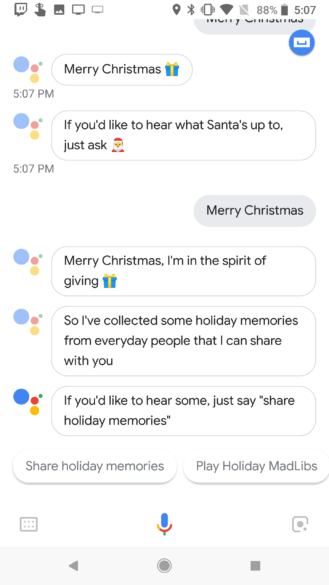 Christmas is over, but if you're anything like us then the holiday spirit is still with you and you refuse to let it go this easily. 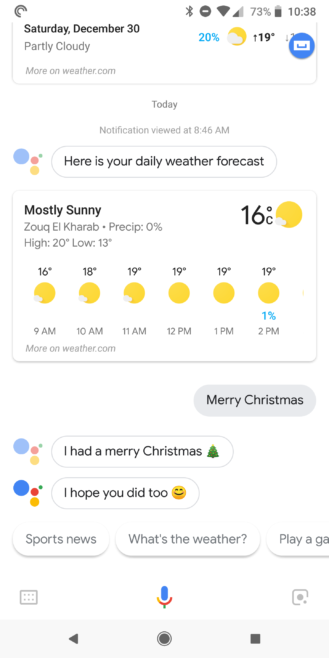 If that's the case and you're still huddled indoors with family and kids, you might want to wish a Merry Christmas to your Google Home or to Assistant on your phone. 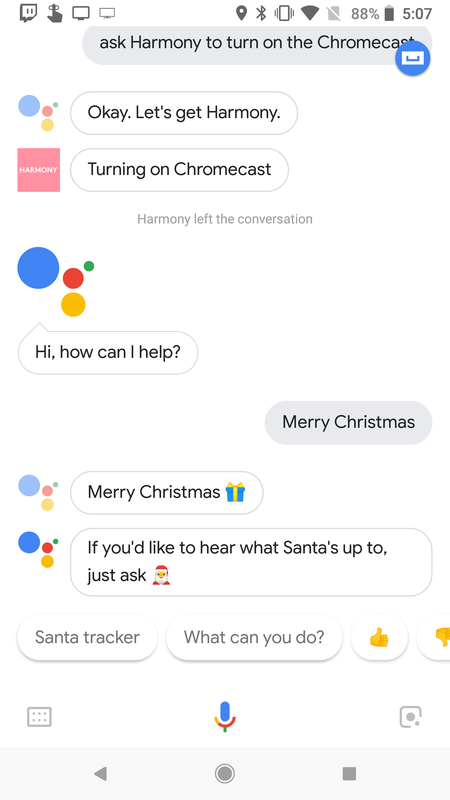 The response, as is often the case with Google, will be a little, uhm, Easter egg. 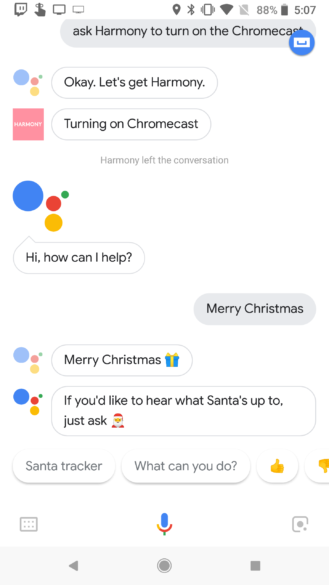 There are a couple of so-so answers like wishing you had a Merry Christmas too and triggering the Santa tracker (screenshots below), but the more interesting ones are more elaborate than that. 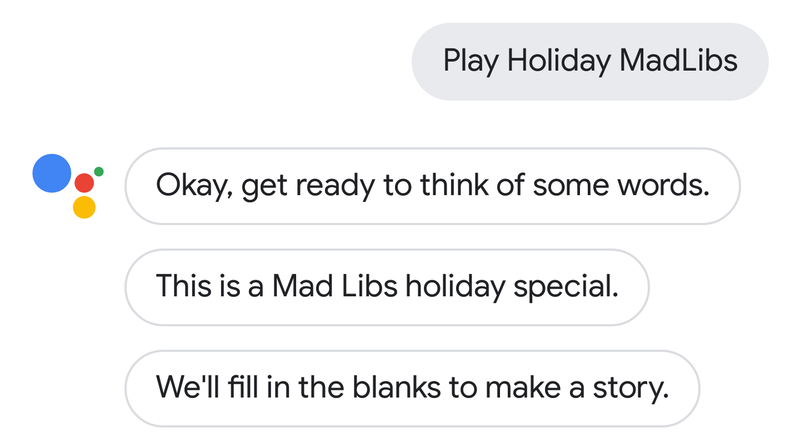 One of them is the Play Holiday Mad Libs option (shown above) that triggers an entire Mad Lib game asking you for nouns, adjectives, and other words to fill in a holiday-themed story that kids will definitely have a ton of fun with. The other is much more personal. 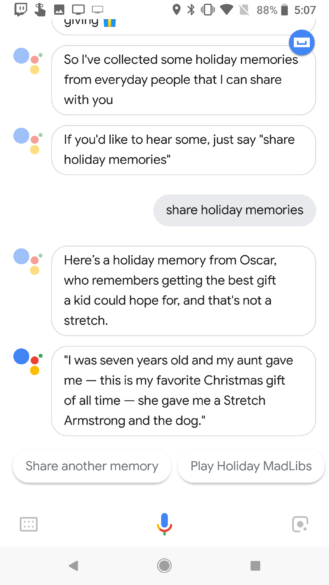 "Share holiday memories" has a collection of personal Christmas and holiday stories using people's voices, not Assistant. Some are cute like a ravioli making contest between a father and daughter and some are a little melancholic like a woman remembering big family gatherings at her now-dead grandparents' house. That caused a twinge in my heart as it rang so true for me this year. I'll leave you to discover all the different stories and Mad Lib concoctions and wish you plenty of happiness and blissful times. And kids, remember to cherish your parents and family and don't take their presence for granted. Trust me, the moment you realize how important they are to you is also the moment you realize how terrified you are to lose them and how finite their lives and yours are. So if you're lucky enough to have someone around you to hug now, go hug them.